Meritor MG2A lined brake shoes are a premium 23,000 lb product manufactured to original equipment specifications and suitable for a wide range of truck and trailer applications, including heavy duty rigs such as B Doubles and Road Trains. The attached brochure provides detailed technical information on the brake shoes, hardware kits and brake lining material performance. 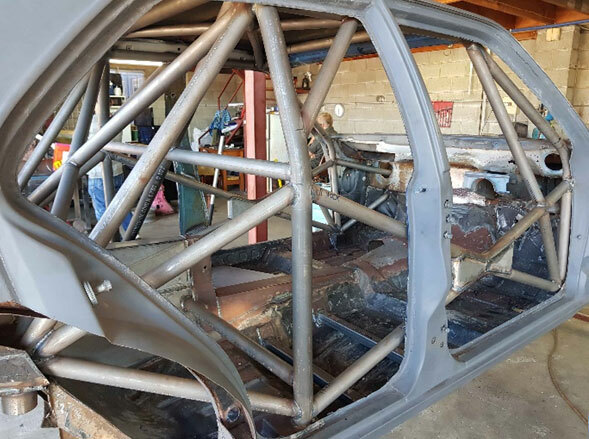 In March 2018 our new Torana TCM project started with the delivery of a 1977 Torana bodyshell to our Kippa Ring workshop. Our current SLR5000 had been the best car available to purchase 12 months earlier once the team decided to take on the Touring Car Masters series with Multispares at the end of the V8 Ute series. Built on the legacy of Rockwell International, formerly part of Arvin Meritor, Multispares is pleased to offer the full range of replacement diff carrier assemblies for the Meritor 46-160 axles series, manufactured to OE specifications. For more information, please contact your nearest Multispares Branch. Gaff polyurethane products provide superior mechanical properties, outstanding chemical resistance and improved design features. They are heat resistant, ozone and UV resistant, chemical resistant, tear resistant and more durable than equivalent rubber products. The attached brochure shows common Gaff products available from all Multispares stores. Ryan Hansford and his Multispares SLR5000 Torana have taken their first outright race win last weekend around the streets of Reid Park, Townsville. Ryan qualified 4th behind Johnson, Bowe and Andrew Fisher with only .3 separating Bowe to Hansford. Ryan Hansford and his Multispares SLR5000 Torana have had their best result so far in Touring Car Masters grabbing the Pro Am class win and finishing 2nd to Steve Johnson overall at Winton Raceway for round 3 of the 2018 series. Following years of development work in Australia’s Pilbara region, Multispares has opened a Branch in Wedgefield, the road transport hub for Port Hedland. This new Branch will improve service levels for customers in far north western Australia and continues our investment in higher service standards for regional fleets, independent workshops and our valued reseller partners. The Multispares Torana has started the year with a mixed bag of results in Adelaide, March 1st – 4th in front of over 275,000 fans. Ryan Hansford started the weekend strongly in both practice and qualifying and was 4th on the grid behind Steve Johnson, Gavin Bullas and John Bowe. In 2018 the first race of the weekend will be the reverse grid race, but the great news is there is still three races to follow, so an extra race at each round. Ryan started from 16th and raced hard picking off 10 cars and keeping Johnson, Bullas and Bowe behind him.